Stop doing, stop moving, stop twisting and turning. These are the first steps toward inner calm and increased mental clarity, says psychiatrist and leading meditation practitioner Christophe Andre, who in this book guides us through the art of mindfulness, beginning with art itself. 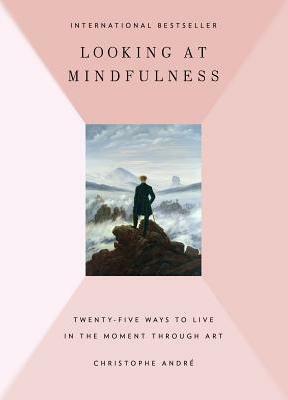 Looking at Mindfulness collects classic and esoteric paintings, from Rembrandt to Hopper to Magritte, and offers a lucid commentary on the inner workings of each. Andre describes the dynamic on the canvas, and turns to the viewer's own reactions, exploring the connection between what we see and what we feel. Moving beyond the art on the page, Andre teaches us what it means to consider our surroundings, our daily interactions and obligations, and their effect on our inner well-being. The paintings are a visual and tangible first step to understanding mindfulness and the benefits of living in the moment. In practicing mindfulness, within ourselves and out in the world, each of us can make immediate, meaningful, and permanent changes in our well-being and the well-being of others. Beautifully written, wonderfully accessible for any novice or expert, Looking at Mindfulness delivers practical steps and a comprehensive understanding of the practice and meaning of mindfulness and meditation. An authentic and effortless voice, Andre brings clarity to what it means to live mindfully and how we can make a more conscious effort to do so. Christophe Andre is a French psychiatrist and bestselling author who has practiced meditation for many years. He runs meditation groups at the Sainte-Anne Hospital in Paris, helping people to free themselves from suffering and enjoy their lives. After many highly acclaimed books, Looking at Mindfulness is his most original and personal work.